Today we have the Wonderful privilege to learn a New Way of Living shared by a wonderful man of GOD. So sit down and enjoy this great sharing to Start the NEW YEAR! ≈ Comments Off on Did You Know? The things we forget are amazing. The things no longer taught or shared are even more amazing. the two huge oak doors have the Ten Commandments engraved on each lower portion of each door. 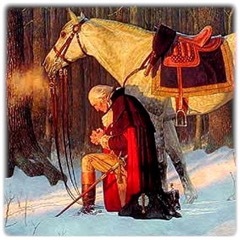 Federal Buildings and Monuments in Washington , D.C.
Every session of Congress begins with a prayer by a paid preacher, whose salary has been paid by the taxpayer since 1777.
of the Constitution were members of the established Orthodox churches in the colonies.. The rule of few over many. The Holy Bible and belief in GOD! or Delete if I didn’t. Are you ready for a Phenomenal sharing that will enlighten you, edify you, strengthen you and bring joy to your life? Then today you will understand that GOD has no limit and that He cannot be boxed so let’s stop trying to place limits on ourselves and God, because he has a life in store for each of us that transcends what we see and understand today and if we are willing to abide in him he will show us a Miraculous Life! So let’s line up our thoughts to HIS thoughts and head down a wonderful path. The gift that God has given to every individual recipient or believer in Christ Jesus born again unto Life Eternal.